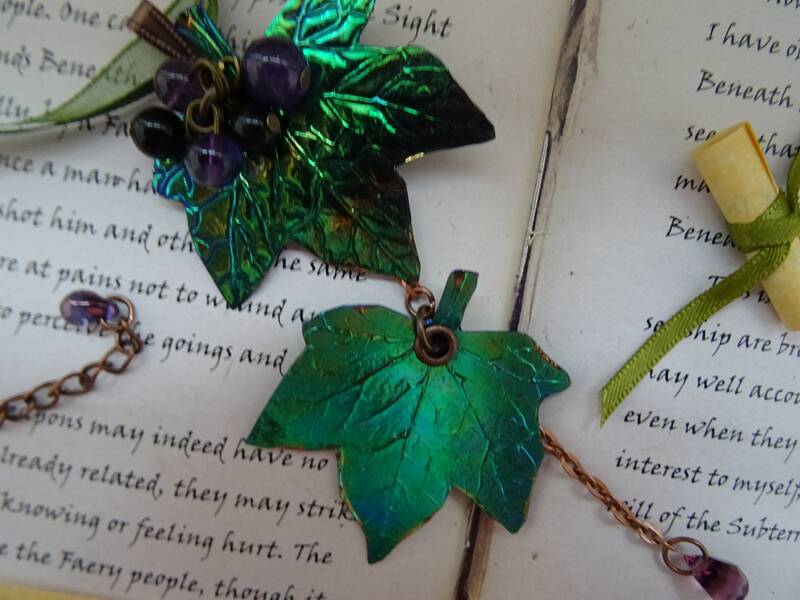 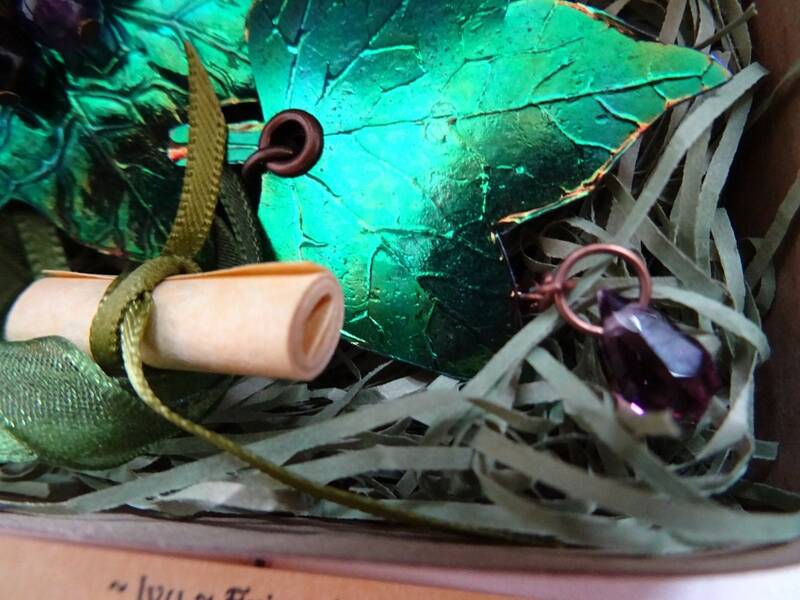 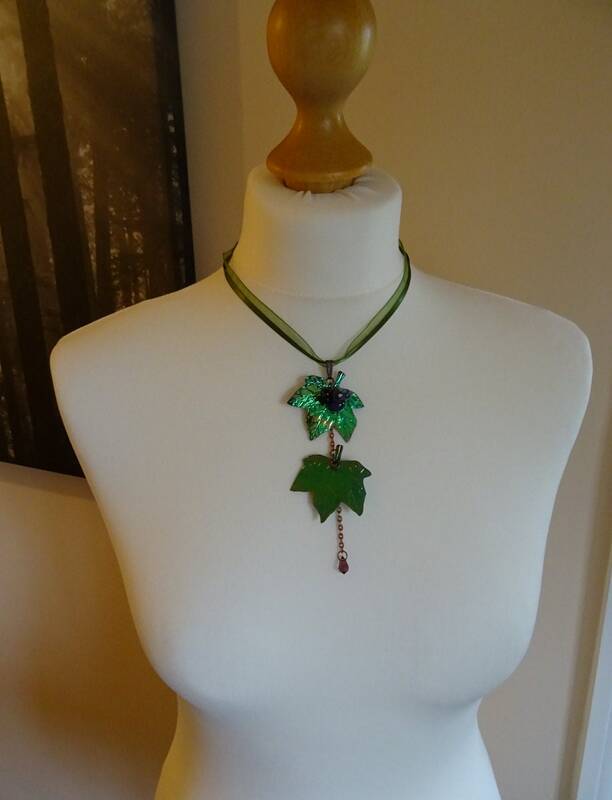 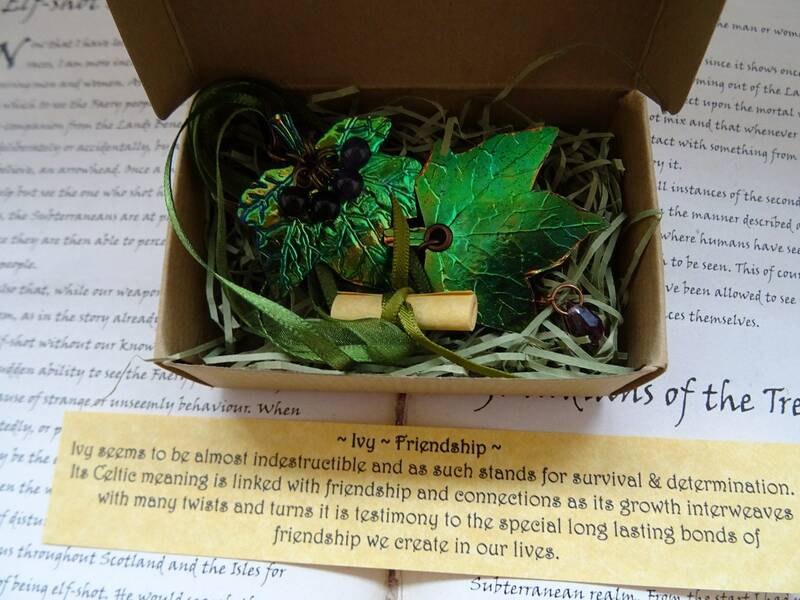 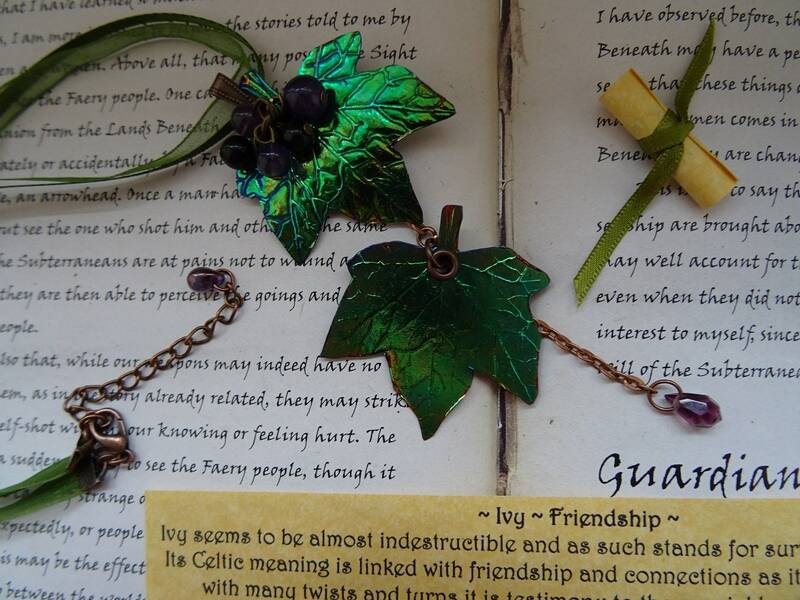 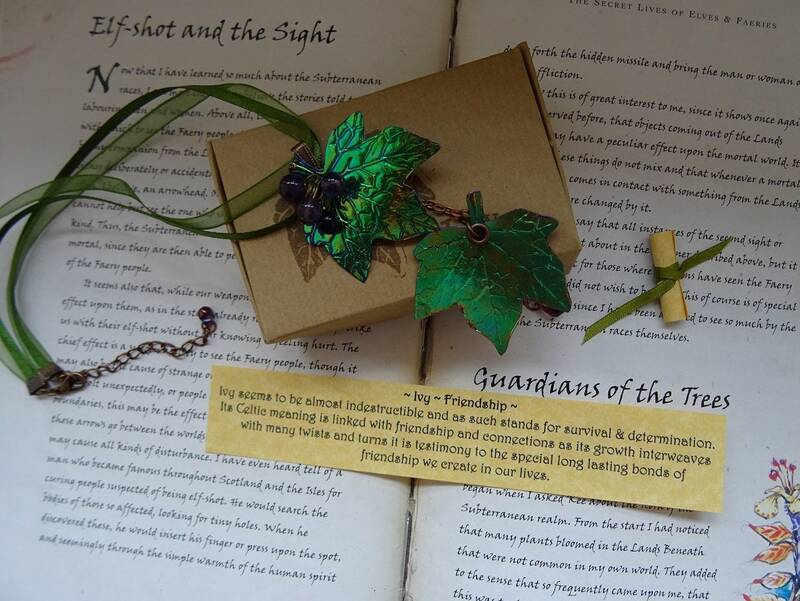 This Pretty necklace features two of my handmade shimmering Ivy leaves in beautiful shimmery green colour. 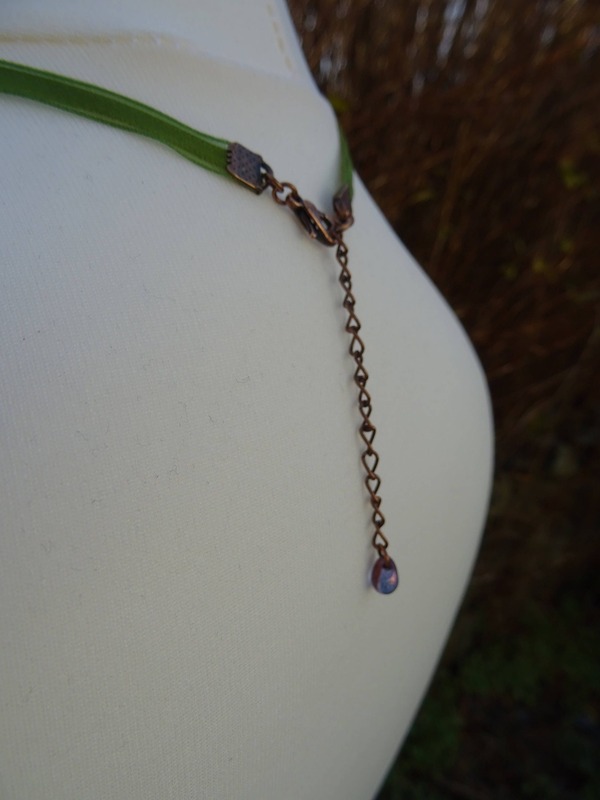 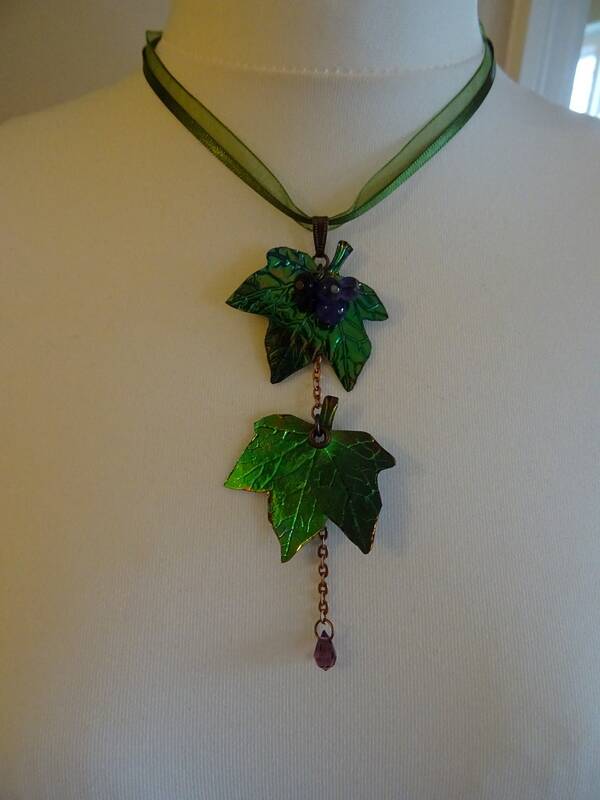 The ivy berries are made with amethyst and obsidian gemstone beads and the necklace is finished with a sparkling purple Preciosa Czech Crystal droplet from a length of bronze chain. 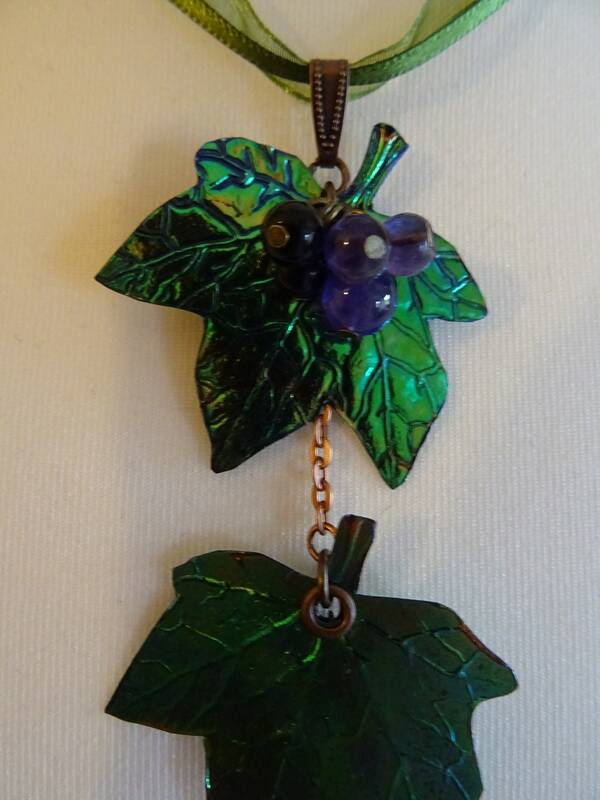 The pendant hangs from two lengths of moss green satin & organza ribbon finished with a bronze ribbon clamp with extender chain. 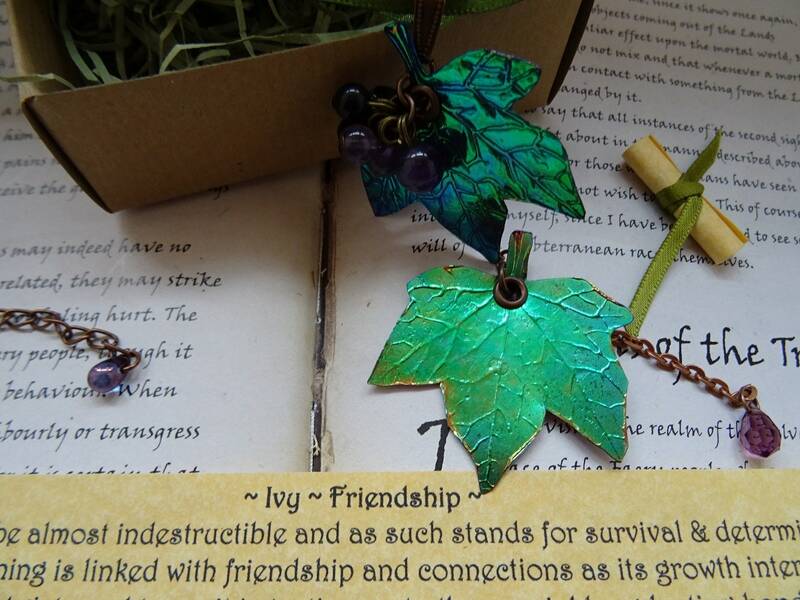 The Ivy leaves are made by a process of layering up heat bondable plastic film which is composed of more than 90% post industrial waste making it a more eco friendly type of plastic, the film contains no harmful ingredients, no heavy metals, and is formaldehyde free.